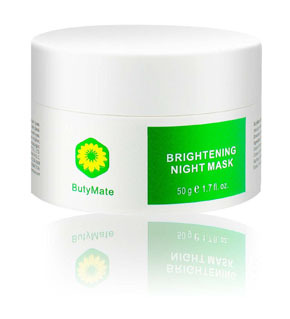 Description (Effects): ButyMate Brightening Night Mask helps to diminish the appearance of pigmentation by reducing melanin production. It reveals radiant, delicate, and elastic skin by morning. For the best results, use with ButyMate Brightening Toner, ButyMate Brightening Serum and ButyMate Brightening Lotion.